A close up of one of the props on Cloudpoint's first quadcopter which was later dubbed "Icarus". Cloudpoint's new Chevy Sonic with almost the whole crew loaded inside. In July we purchased our first company vehicle, a Chevy Sonic, from Sam Leman in Eureka, IL. The logo and lettering by Kat-n-Mouse Graphics of Roanoke. This has been a great vehicle for us as we put many miles on traveling throughout the state to our various clients. On May 1 we successfully rolled out our first custom application solution called SignOps, a sign inventory management solution using barcode tags for asset management. 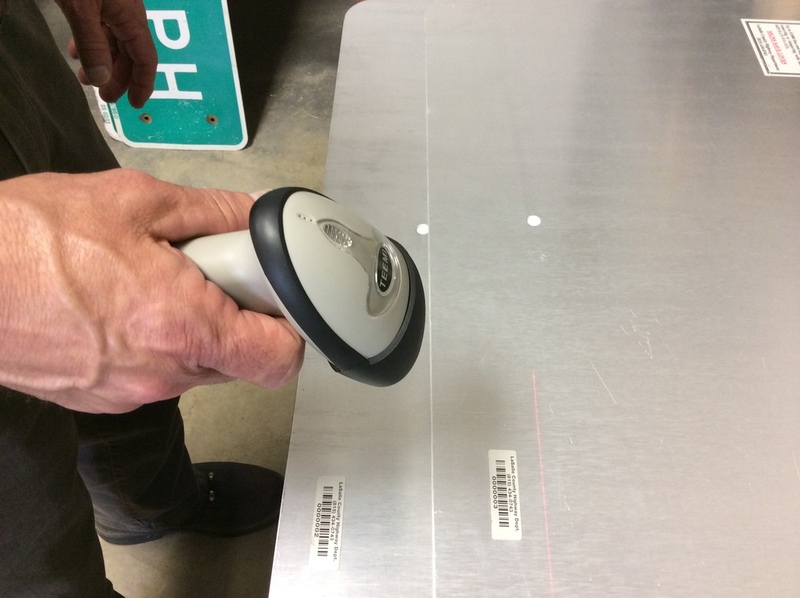 LaSalle County was the first project where we tagged over 6,000 signs with barcodes and provided a complete turn-key mangement solution with the SignOps application. It's safe to say that the smaller the block, parcel, or lot; the more difficult it can be to accurately represent your features in a GIS system. When it comes to cemetery lots, this can be just the case as we start to go from feet to tenths to inches. If your objective is to just locate a grave with respect to a certain area or section within the cemetery, then maybe a simple smart phone app searching for relative points may be all you need. However, if you need to see the layout of lots, blocks, and graves, using polygons to identify specific graves (which may be the case for cemetery management tools) then high-accuracy GPS is the way to go. This sample project consisted of collecting cemetery markers with a Trimble Geo-XH 6000 (cm Edition) GPS unit to obtain high-accuracy coordinates which were used as control points to lay out the blocks, lots, and graves or the cemetery. Once the layout was completed, GIS data was populated from an existing database of information obtained from personnel responsible for managing the cemetery. OK, so your next question is "where does the high quality imagery come from?". Google??? NO, this was actually collected with a unmanned aerial vehicle (UAV or commonly known as a drone) outfitted with GPS guidance and a professional grade camera. You can read more about the drone project in separate upcoming blog. The surrounding ground around the cemetery markers was painted with a white "X" to be used as ground control points when stitching the photos together. The final map was served up as a feature service on ArcGIS Server and can be searched by last name using the magnifying glass search tool in the top right corner. Notice how the head stones appear in the aerial image with precise accuracy over their designated grave polygon. There will be more on these tools and methodology to come.